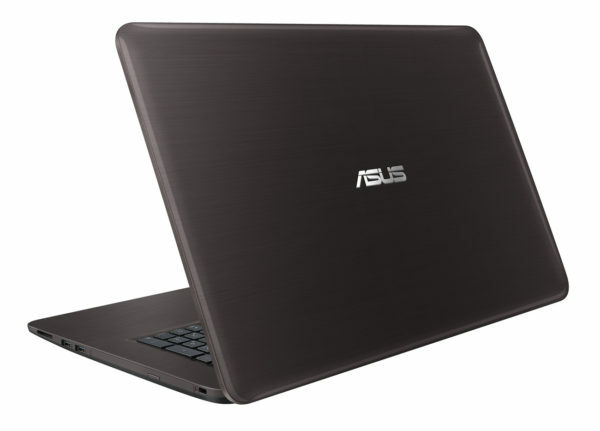 The Asus X756UQ-T4399T is a new versatile 17-inch Full HD widescreen laptop that runs under 850 euros on Windows 10. 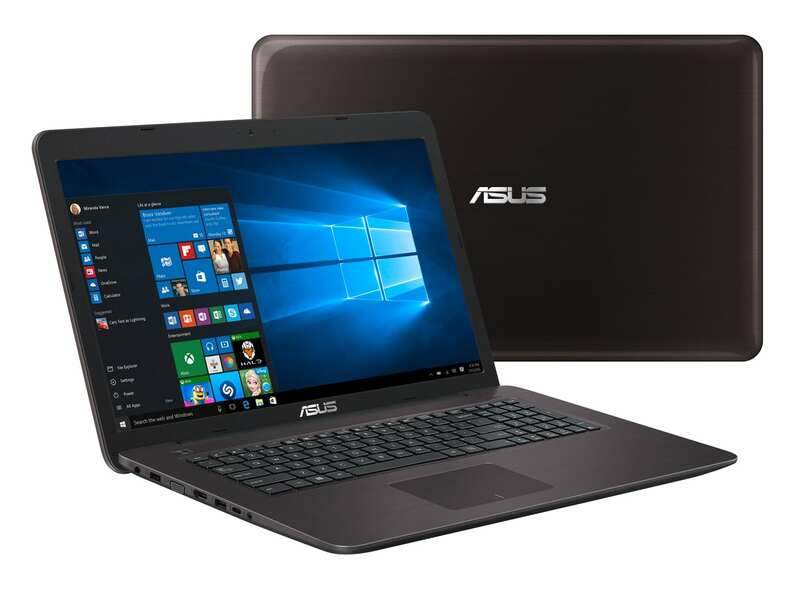 It comes with a low-power Kaby Lake Core i5 processor, good amount of RAM, a large capacity hard disk, an NVIDIA dedicated graphics card with Optimus technology or a USB 3.1 Type-C connection. It sports an original and yet discreet design with its Brown Chocolate design. The Super Hybrid Engine II with Instant On technology is part of the game to ensure a wakeful output in just 2 seconds, a standby for up to 2 weeks and automatic data backup as soon as the battery capacity drops below 5%. 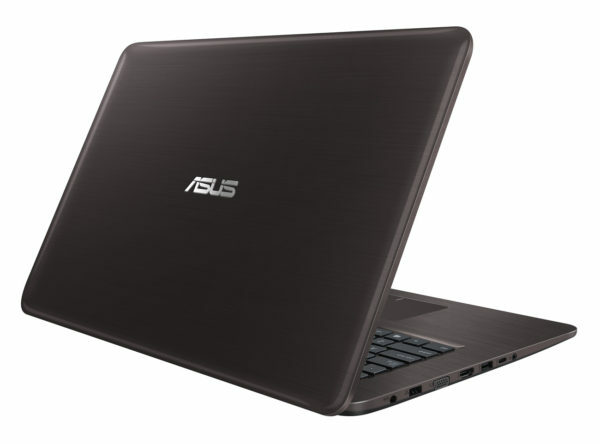 The Asus X756UQ-T4399T is a 17-inch notebook designed for everyday versatile use. Thanks to its 8 GB of RAM and its Core i5-7200U processor, this PC delivers good overall performance. It also benefits from a large storage space with its hard drive of 1000 GB. As an M.2 slot is available, it is possible to add a bonus SSD dedicated to gain capacity and responsiveness. This computer is also able to support games not too greedy in graphics resources thanks to its dedicated GeForce 940MX card if you consent to adaptations under demanding titles. In practice, the GeForce 940MX is solicited by embedded NVIDIA Optimus technology when it comes to performing graphic processing considered too heavy for the Intel HD 620 housed in the Core i5 which, despite its modest benefits, is preferred both what can be done by Optimus because its reduced energy consumption promotes autonomy. As needed, Optimus switches automatically and in real time between the Intel HD 620 and the GeForce 940MX, both of which allow you to watch photos and videos. In reference to the reference of this computer, it has a full HD definition screen to display high definition content and a 16 / 9th format suitable for videos. As for the onboard connectivity, it is good, including a USB 3.1 Type-C, video outputs VGA and HDMI useful to easily connect this PC to a TV for example, Wi-Fi modules ac and Bluetooth 4.1 for connections and wireless remote communications, Ethernet and audio ports or even 3 USB all compatible with both USB 2.0 and USB 3.0, USB 3.0 ensuring faster transfers than USB 2.0 when plugged into a device USB 3.0.